*Applicable to all compatible 3D Modelling software, except for Rhino. Rhino users will find that their model only exports as a white model. 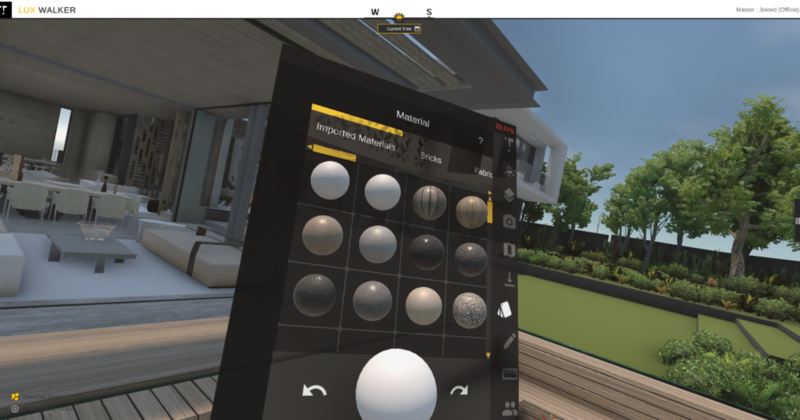 Rhino users will still have access to 200+ materials in LUX Walkers in-built material library. We have had some inquiries about changing the material for an individual item, such as a single column or wall. In order to do this you will need to ensure that you have named your material layers individually in your 3D model. For example; Concrete 001 (right wall) Concrete 001 (left wall) – because these items are both Concrete 001, our software cannot tell that they must be treated separately. If you want to change the left wall material only, you will have to rename your material layers in your 3D modelling software to distinguish between different surfaces. You may want to rename your surfaces to Concrete 001_1 (right wall) Concrete 001_2 (left wall) in your 3D model before you export to LUX Walker. This will ensure that when you want to change the material on the left wall only, in LUX Walker, our software will be able to distinguish this surface.